One of the greatest things about marijuana is its ability to evolve. As more jump aboard the cannabis bandwagon, the ways to enjoy cannabis continue to grow. While the bong is no stranger to the world of cannabis, how you smoke out of that bong has become a completely personalized experience. There are so many gadgets that can help elevate your smoke session. 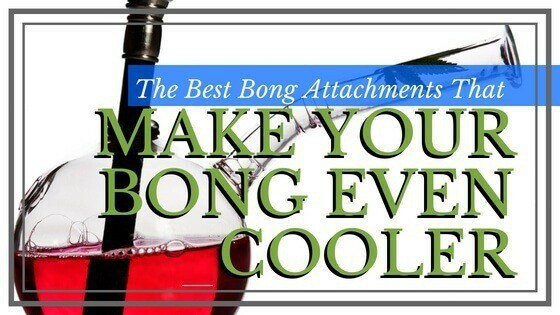 Today, we'll look at the best bong attachments to step up your weed game. When we first buy a bong, we fall in love with the beauty of the glass. However, three weeks in, the once shiny piece of art is now looking like a sludgy mess. Caring for your bong can sometimes feel like a full-time job. While you’ll always have to cave in and clean, you can prolong the process with an ash catcher. Grav Labs 90 Degree Standard comes with a showerhead diffuser downstem. Due to these slits at the bottom, it allows for finer bubbling and a smoother pull. The biggest drawback of this piece is the length of this downstem. You might have to replace it for a longer one to get the most out of this attachment. Otherwise, cleaning the Ash Catcher is simple and it certainly does buy you time in between bong washing sessions. This is what makes any ash catcher one of the best bong attachments you can invest in. Friends that smoke together, stay together. A 4-arm bowl is perfect for a small gathering of friends because it allows you to customize how much each person gets. That way a beginner doesn’t feel the pressure to smoke as much as the pro in the group. Also, it ensures that no one gets the ashy remains...unless it’s their own! However, loner stoners aren’t left in the dust with this one. Play roulette with a mixture of buds all by yourself if you’d like. The Dankstop 4-Arm Taster Bowl is sleek and durable. It’s the perfect party companion...or Netflix and chill pal. Tree percs are common and come standard in a lot of bongs nowadays. Having a tree perc in place helps create a cleaner rip for the smoker because the air and water rise through multiple slats, dispersing it throughout the cloud through the chamber. This helps filter the smoke for a fresher hit. The more arms on a tree perc, the more your hit will be filtered. Dankstop’s Tree Perc has six arms, making for a real clean pull. While tree percs are great for getting a mouthful of flavor, they must remain clean to maintain that reputation. Seeing as there are six different arms to this thing (not to mention they’re crammed pretty close together), it makes for cleaning this piece a bit difficult. The only other complaint is the opposite problem of the last Dankstop product. Not to be all Goldilocks, but this downstem could be a bit too long for many bongs. Honeycombs pack a serious percolation punch. Having so many holes for the air and water to flow about, there isn’t much of a drag fighting back on your inhale. Not to mention that the honeycomb is like a jewel sitting in your bong. Coming in two vibrant colors, blue or green, having this beautiful honeycomb is the icing on top of the strong filtering cake. Having so many holes may seem like a cleaning nightmare, but this piece is rather simple. It is easy to take apart and put back together. Using the Barrel Honeycomb Perc Ash Catcher will save you time cleaning your bong. Everything from how it is grown to the apparatuses used to smoke it, there is always a little more than meets the eye with Mary Jane. For one, your pieces have genders. You don’t have to worry much about this when you start using bongs, but as your experiences become personalized and you add things like dabs into the mix, then gender of the joint begins to matter. There are instances where you are going to need an adapter to meet your smoking needs. Like if you have a bong that is female and needs to use a female jointed dome or bowl, you would need a male piece to insert. Another instance for male bong owners, if they find a female bowl that they would want to use, they too would need an adapter. This male to male adapter is an easy solution. 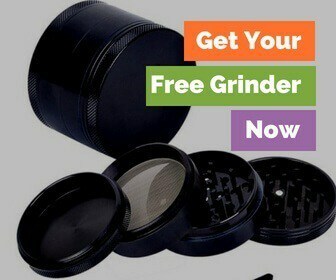 The piece is durable and easily portable and can be thrown into any bag discreetly. Inset percs work a lot like tree percs. These ash catchers sit inside the chamber. Unlike the tree perc with arms, the inset is sort of like a dome. It has a slight curvature that the rising smoke inevitably collides with. As the dome collects the smoke, it is forced out through numerous slits around the circumference. This pushes the smoke out to the stem, making this ash catcher an effective filter. The only major step that the Dankstop 90 Inset Perc Ash Catcher has over the Dankstop Tree Perc is that it’s much easier to clean. With the Tree Perc, you have a bunch of fragile, thin pieces at play. Whereas, the majority of the Inset is an open area that you have easy access into. On looks alone, this is the best bong attachment that money can buy. This lifelike avocado is actually a bowl that sits in the downstem of your bong. Conveniently enough, this avocado comes pitted. Which, that is a good thing because your weed goes where the seed used to sit. What makes this bowl a true winner is that it is a great conversation piece. Anyone lighting up is going to light up when they unexpectedly see an avocado sitting on the bong...and then realize they get to smoke out of it! While most gimmicks are cute but fall flat on the quality, this Avocado Bowl hits quite nicely. This is a rare occasion where the gimmick doesn’t get in the way of the overall experience. The best bong attachments make your bong even cooler buy augmenting the experience. They can make the hit smoother, your bong easier to clean or, sometimes, just add aesthetic appeal to the bong. What has been your favorite bong attachment? I once had a bowl that you could through in the freezer and when you hit it the smoke would be ice cold!